The first father's day was in June, 5th, 1910, United Stated. In 1909, a lady called Bruce Dodd put forward that people should establish father’s day. At that time, people only celebrated the mother's day, but nobody celebrate father's day yet. Lady Dodd had lost her mother when she was very young, her father raised her grew up. Lady Dodd was so thankful for what her father had done for her that she wrote a letter to the government. In the letter, she appeals to establish the father's day. The government accepted her suggestion and decided that the third Sunday of June is the national father’s day. In 1972, the president Nixon had passed the law and agreed that the father’s day is on June the third Sunday. 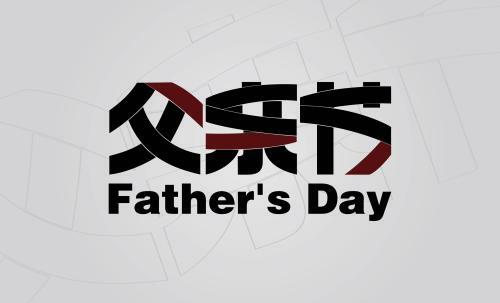 From this year, the world started to celebrate father’s day. On this special day, the children usually dedicate flowers to their fathers. The red roses to those who still alive, while the white ones to the fallings. Fathers always are considered being the central of the whole family. Without father in the family, home may feel insecure. The father always fights for the family and support the family. On this day, we can do something for our fathers. For instance, we can make a breakfast for them, or buy them a nice tie. We should spend more time with our father, show our love to them. The father’s day is coming, take this chance, and tell our fathers that we love him. Happy father’s day!